The Film Club hits its half-dozen with a low budget sci-fi thriller that was film in the director’s own house. 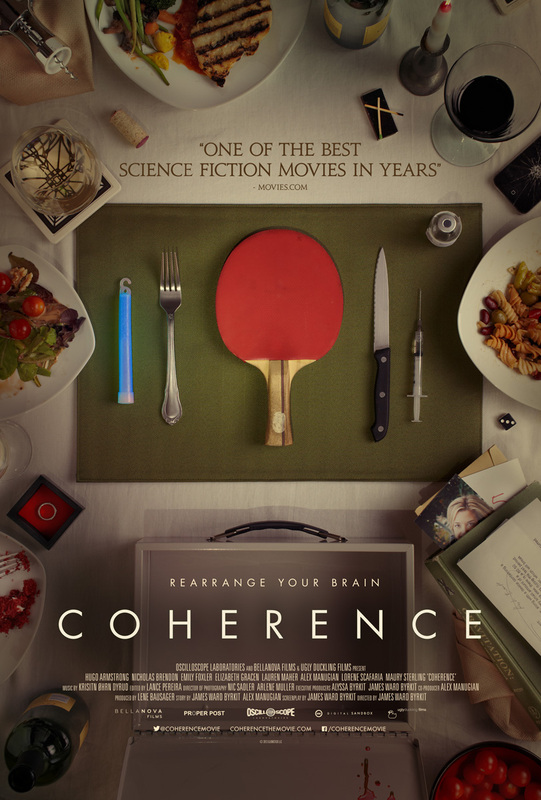 The film is 2012’s Coherence and it it deals with the effects of a power outage that coincides with the passing overhead of an astronomical anomaly called Miller’s Comet. Chosen by our MovieMuse founder Gordon Sinclair, it is a suspenseful take on alternate universes that will boggle the mind more than it will scare. You can hear the team’s thoughts of the film in Episode 7 of the MovieMuse podcast, read Gordon’s review or check out the trailer below. Gordon: "I was gripped from start to finish"
Mat: "It definitely made my brain hurt"
Graeme: "It was really creepy throughout"
Simon: "It generated an amazing ambience"
Whilst the team questioned how quickly the characters accepted their predicament, there was general agreement that Coherence presents a mind-bending but believable tale with a creepy sense of foreboding that will have you on edge throughout. How Do You Solve a Problem Like Mari-o?